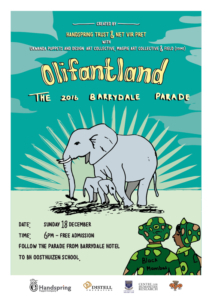 The 2016 Barrydale Puppet Parade and Performance brings you Olifantland, a multilingual visual theatre show featuring five majestic life size elephant puppets by Adrian Kohler from Handspring Puppet Company in collaboration with UKWANDA Puppet and Design Collective. 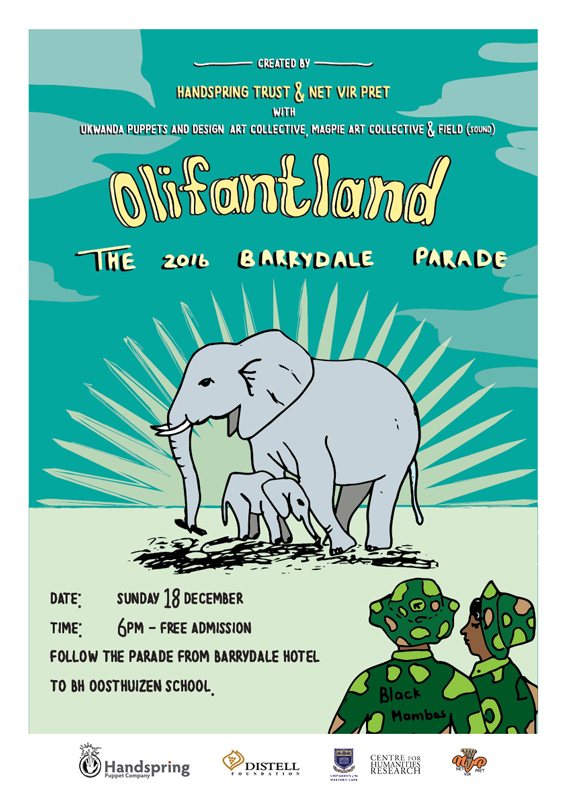 Olifantland Poster Using student artwork. 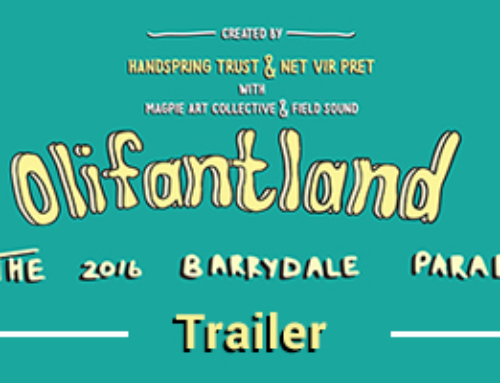 Each year Handspring Trust and Net Vit Pret in partnership with Centre for Humanities Research of the University of the Western Cape collaborate to produce a parade in a small farming town on the R62 in the Klein Karoo. 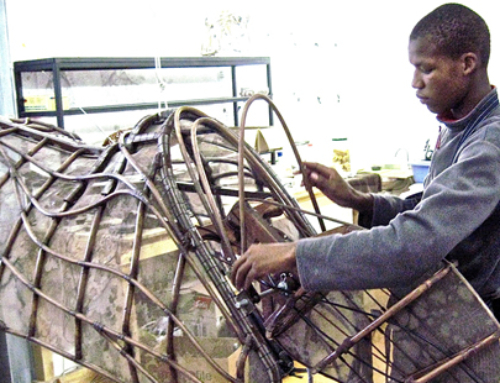 This creative collaboration centered on exploring the meaning of reconciliation in South Africa produces site-specific community puppetry performance event that involves nearly 200 local learners, youths and performers, including 120 children making and performing with their own puppets under the guidance of renowned arts educator Jill Joubert. 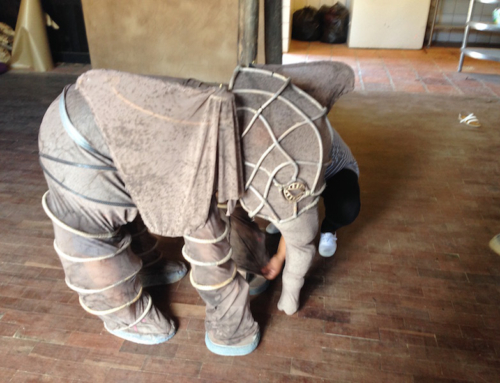 The 2016 performance entitled Olifantland is inspired by Lawrence Anthony’s novel Elephant Whisperer, a story about re-connecting to these powerful, hugely intelligent creatures. 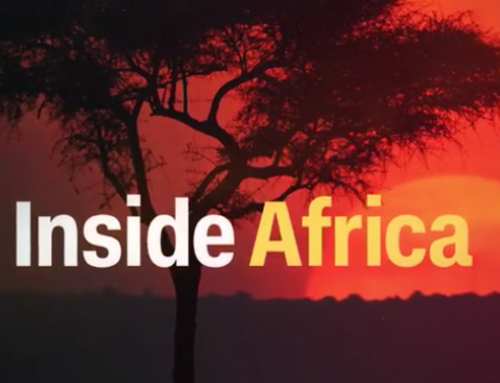 Through it, we explore our ancestral connections to elephants and our own potential to tap into their highly developed emotional landscapes and sense of community and family. Through Olifantland, we also explore difficult narratives of land, heritage and history by asking pertinent questions about the deeper meanings of reconciliation. The story is especially timely given that science is only now bringing to light the almost magical capabilities of elephants to communicate between each other via subsonic frequencies over vast distances. They also contribute substantially to the health and growth of eco-systems and delineate the significance of the ancient migration routes across Africa over millennia. Olifantland will provoke as much as it will inspire. 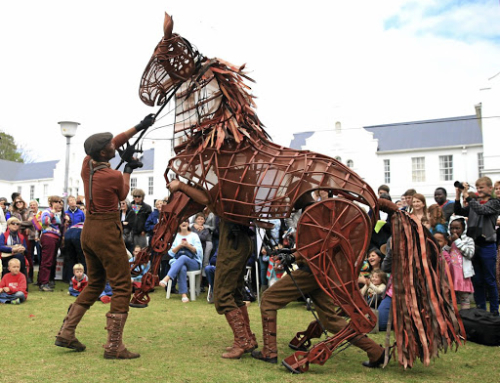 Based on the work of the world-renowned makers of the War Horse, the life size puppets promises to mesmerise audiences in their exploration of these vital questions whilst also igniting the land and people in a communal celebration of the possibilities of life, shared dreams and hope. Directed and choreographed by Aja Marneweck, original music inspired by elephant infrasound by Simon Kohler of FiELD in collaboration with Barrydale and Suurbraak musicians Peter Takelo, Garry Crawford and Jazz Monkey’s with the participation of the Magpie Art Collective.